Cookin’ with My Chinese Gourd | Keep It Up, David! I love trying new things, especially when those things are produce items. 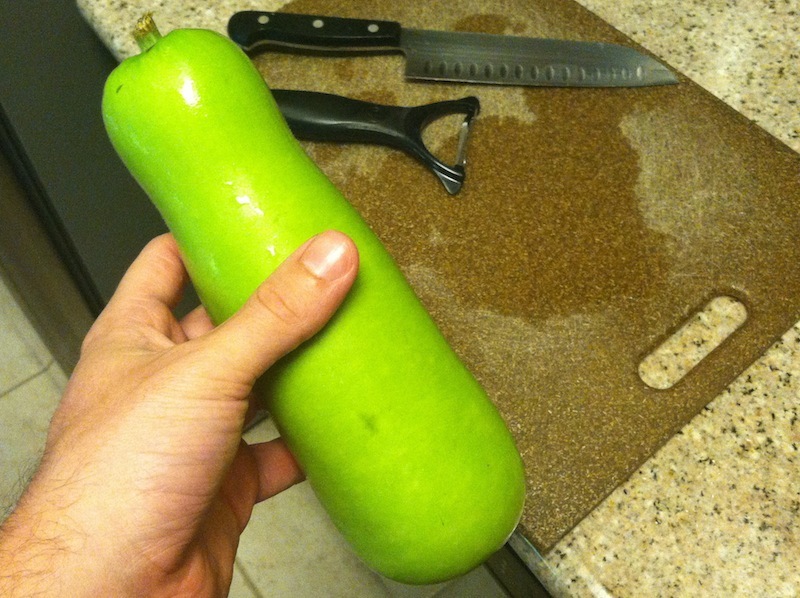 I recently picked up a couple new-to-me items at the farmers market, and one of them was a Chinese gourd. The farmer that sold it to me gave me a little information about it: that it tastes like zucchini, and can be used like zucchini. She also said to peel it, and that it’s good in stir-fries. This wasn’t enough info for me, and here’s what I learned when I did a little more research: The Chinese gourd is also known as a calabash, and they can come in a variety of shapes and sizes, with some measuring over a yard long. Historians know that they’ve been cultivated for over 8,000 years, although initially, it wasn’t used as a food source. The Chinese gourd that I purchased is young and suitable for eating. But once they mature, they get much harder. At that point, they’re not as appealing as a food source, but they can be hollowed out and dried, making a water-tight vessel. Because of this, Chinese gourds may have been one of the earliest tools our ancestors had for carrying water. They’re sturdy and versatile, and cultures around the world use them for a variety of decorative and practical purposes. They can be carved into everything from sitars and other musical instruments to teacups to pipes. Sherlock Holmes is frequently shown in films and stage plays smoking a calabash pipe. RANDOM FUN FACT: Calabash comes from the Spanish word calabaza, which means ‘pumpkin’ or ‘gourd’. Calabaza is also the root word for a nearby town, Calabasas, that is a suburban celebrity enclave. Justin Bieber, Dwayne ‘The Rock’ Johnson, Ozzy and Sharon Osbourne, and the Kardashians all call the Calabasas area home. As a vegetable, Chinese gourd is high in vitamin C and zinc, and also has good amounts of potassium, magnesium, and calcium. Then I chopped it into bite sized pieces. You can see that the center of the Chinese gourd has seeds embedded in the flesh, but I just presumed they were edible, since it looks like the inside of a cucumber, and those are edible. 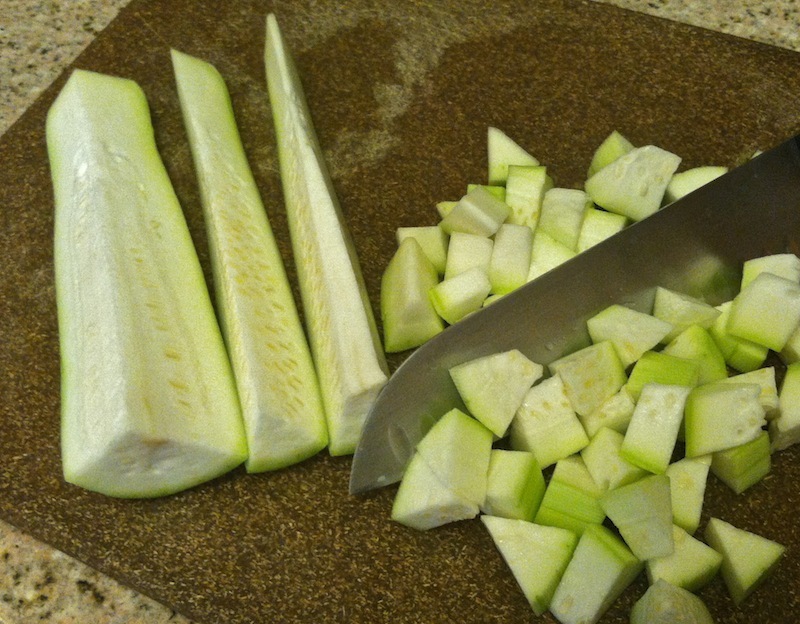 I like eating zucchini raw, even though some people don’t like that at all, and I tried a couple pieces of raw Chinese gourd. 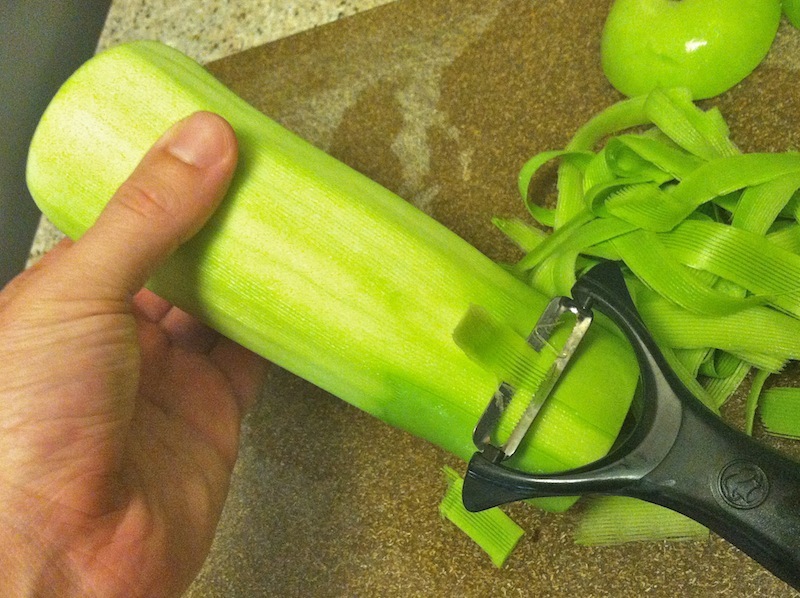 The farmer was right – it tastes like zucchini. But it was a little heartier – starchier, perhaps? – and I didn’t care for it raw. They’re scallions that are allowed to grow much bigger. You can eat the dark green parts, but they’re super-strong in onion flavor, so I left them out, as I had plenty of light-green and white parts to work with. 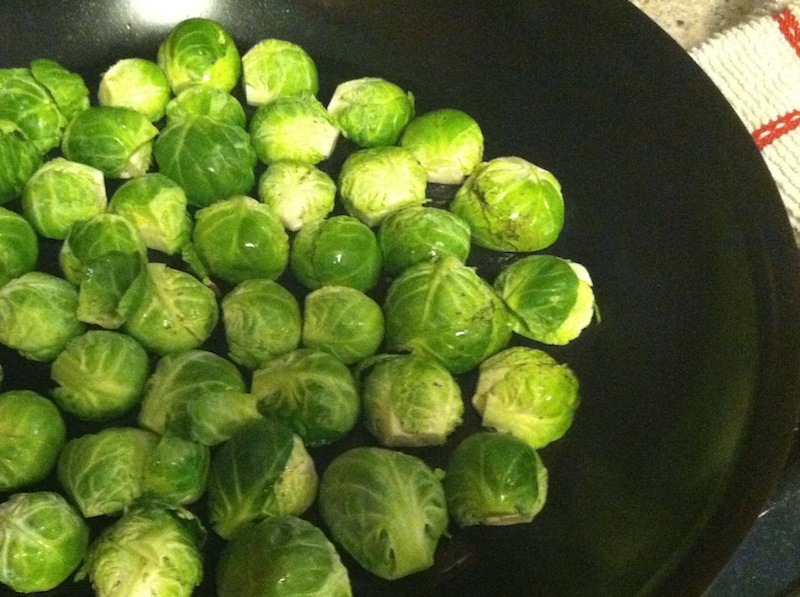 When I loaded up the skillet, I started by slicking the pan with some Pam and laying all the Brussel sprouts cut-side down. I like when Brussels get a good sear and some brown color on their cut side. 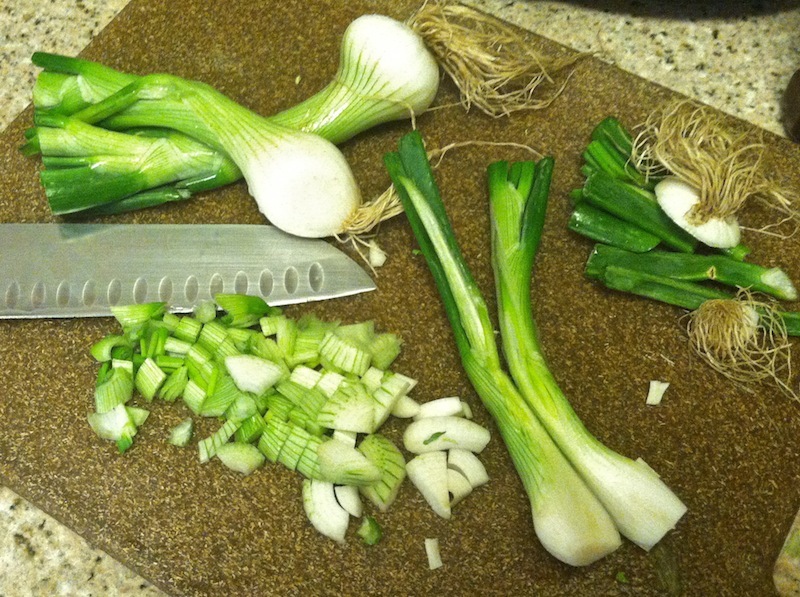 I piled the onion and Chinese gourd on top, and after a few minutes, started stirring everything up. Meanwhile, I coated a second, smaller skillet with some Pam and heated it to medium. 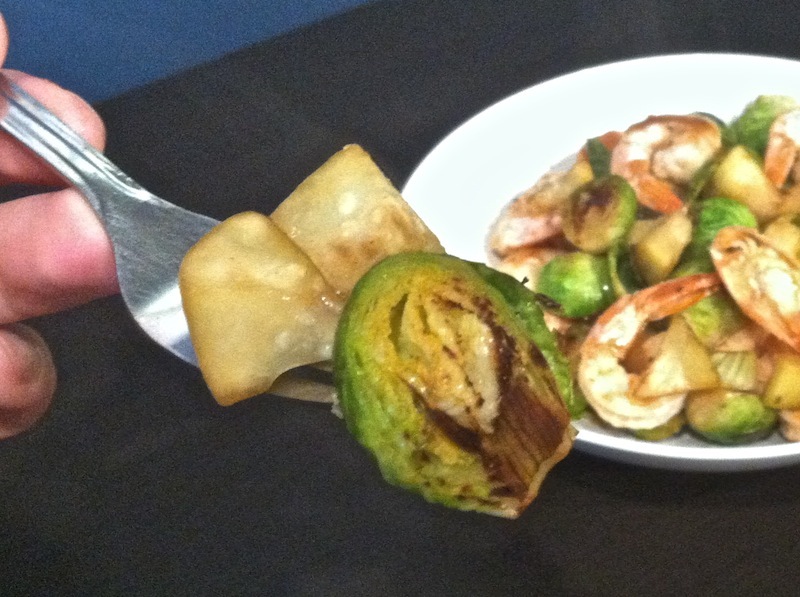 I used that skillet to cook about a dozen shrimp. 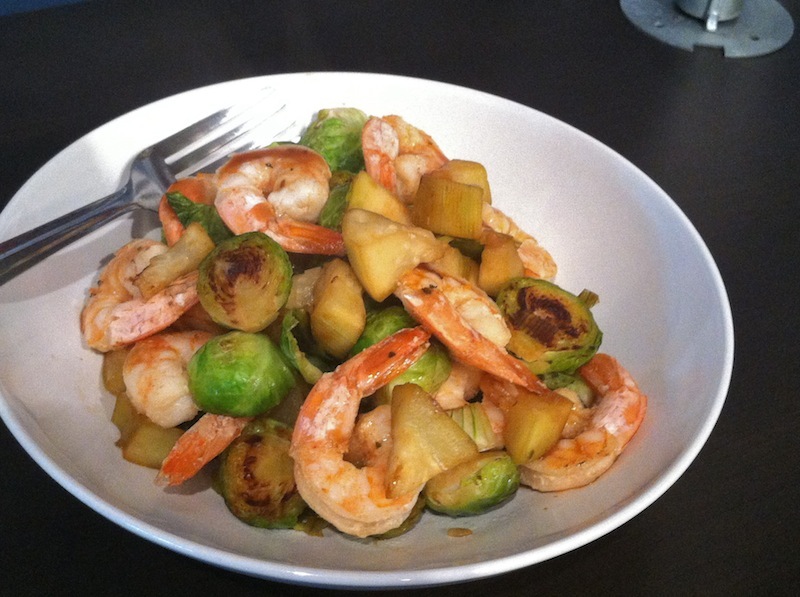 I used a separate skillet because 1) the shrimp were frozen, and I didn’t want the water they’d release in my dish, and 2) shrimp cook in a few minutes, and I didn’t want to try to guess when I should add them to the veggies so everything would finish at the same time. I wish I had made a little rice or quinoa or something. This would’ve been tasty with a carb of some sort. But that’s really the only thing I’d do differently next time. I had a ton of veggies left over, so I ended up cooking the rest of my shrimp, and threw it all together in a Tupperware in the fridge. Maybe I’ll cook up a carb when I eat the leftovers. I actually can’t wait to enjoy the leftovers… and that’s a sign that I made a good meal! This entry was posted on Thursday, November 21st, 2013 at 11:45 am and is filed under Uncategorized. You can follow any responses to this entry through the RSS 2.0 feed. You can leave a response, or trackback from your own site. I didn’t know calabash was a word in English! I know the word calabaza to mean squash in Spanish (Mexico). Cool.